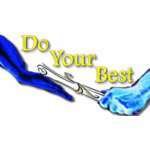 Help the ENY Impalas Get To The World Youth Games by Do Your Best, Inc. This year the national track meets will be held in Lisle, IL The Impalas need assistance in order for the athletes to afford the trips to these locations. In the past, they have traveled by minivan. This year, it is necessary to purchase plane tickets. The cost per track member is approximetely $350. Please help out by making a donation to our organization. We are a not-for-profit organization.